2007-08-04: A hike on the East ridge of the Hood River Valley, with Lea and Kelsey. There is a view of the 100 acre fire in Hood River. 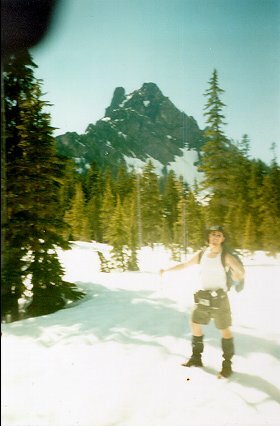 and then a few jumps over on Underwood Mountain in Washington. 2004-4-09: A bike ride up Post Canyon Drive. along the Columbia River between Hood River and Mosier. 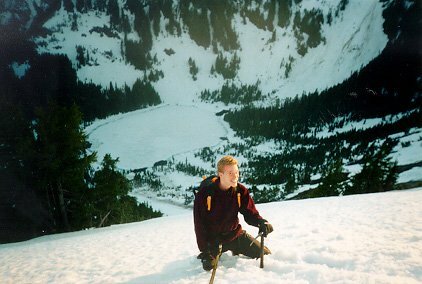 2003-9-5: I have photos from a trip around Elk Meadows on Mt. Hood Oregon. I travelled with Rob, Erin and her guy Dave, and Andy. We were gone until the 7th. 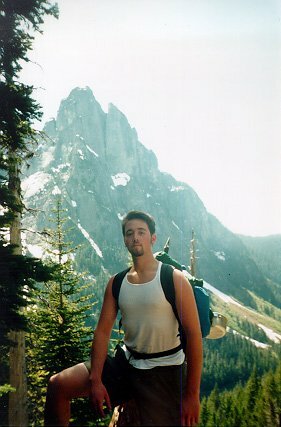 2003-Summer: Soon to be updated photos from a hike all the way around Mt. Hood. 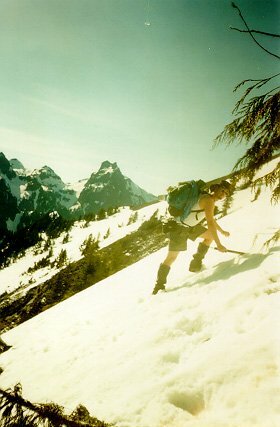 The following photos are from A backpacking trip in Washington I went on with Eric, a good friend of mine. This is a shot of Eric as we were descending roped together. About 20 seconds after this picture was taken we slid 15 feet and clotheslined that little bunch of trees off to the left with our rope. 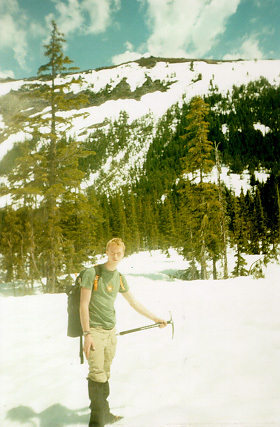 Me climbing the mountain, which also shows the steepness of the area we slid down accidentally.